The Shoe is a Canvas for Expression — Carvd N Stone Inc.
One wrong pair of shoes can ruin an entire outfit, and one fire pair of shoes can make any outfit 10x better, even it’s just a white tee and some blue jeans. Shoes are a fashion statement, but they are also a form of expression. And sometimes a regular pair of kicks is just not enough, so that’s when you call Gregory Hamilton. As the owner of SavageCustomz, Gregory creates works of art on different pairs of shoes—from adult timbs to kid Nikes, he’ll bring anyone’s idea to life. Since he started posting his work on Instagram, Gregory’s DMs have been filled with celebrities requesting his business. 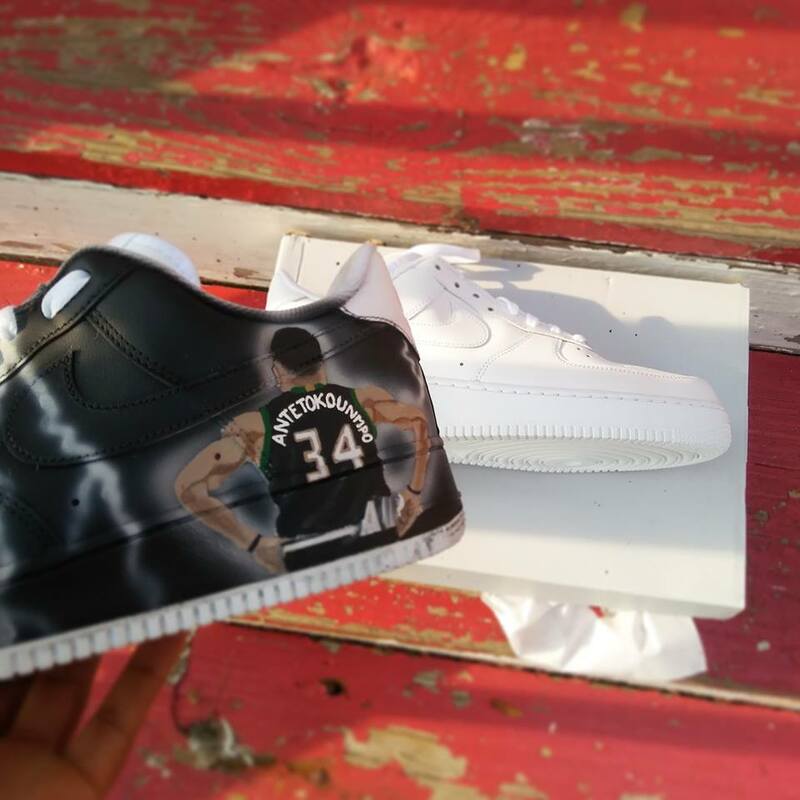 As a Milwaukee native, Gregory was thrilled to be contacted by Milwaukee Bucks players Thon Maker and Giannis Antetokounmpo for some customized shoes. Back in April of 2017, Gregory did a pair of sneakers for rapper Waka Flocka. But just like any good business owner, Gregory treats every customer—no matter the status—with the same respect. Two years ago, Gregory painted a pair of his old Jordans that he wore to school the next day at Wisconsin Conservatory of Lifelong Learning (WCLL). He said he got so many compliments and requests that he immediately started taking orders and charging people $25, which was the start of his business. He understood the importance of supply and demand because he thought, “what is something everyone needed but didn’t have,” and quickly bridged the gap. According to Gregory, he’s customized about 400 pairs of shoes this year, with the goal of reaching 800 or more in 2019. He’s also looking to open up a shop next month that has a similar setup to a tattoo parlor. Instead of tattoo artist, each booth would have an artist who customizes shoes. The longest he’s spent working on a shoe was about a month. Gregory likes to challenge himself, which is how he became so good at painting roses. He said they were his biggest enemy when he first started but after constant practice, he’s a pro. Gregory dabbles in all types of art such as anime and realism, but customizing is what got his name out there. Gregory was actually surprised to discover that the city has artists who do what he does. For the last few months, he’s been connecting with those artists, building relationships and networking. And in the midst of all of his work, Gregory is a mentor at the age of 20. 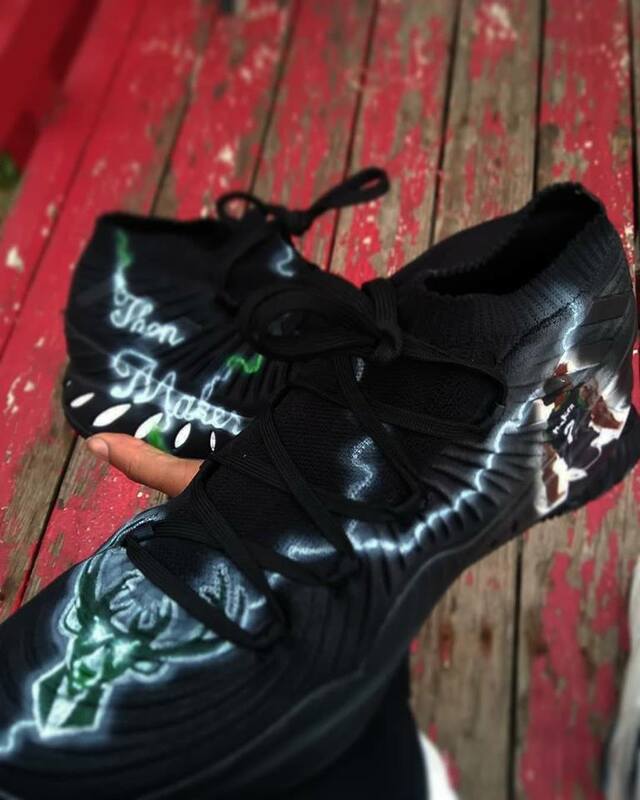 When he reached his one year anniversary of customizing shoes, he was contacted by a young man named Dominick Hurns. Dominick wanted to learn how Gregory made such amazing art on shoes, and Gregory said okay because he saw himself inside of Dominick. Customizing shoes is a way for Gregory to stack his money, until he has enough to start his own clothing line. Eventually, he wants to help others get on just like how he’s doing with Dominick.